David Hasselhoff is listed in the Guinness Book of World Records as “The Most Watched TV Star in the World” He is more than an actor, a singer or an entertainer – he is a global icon who has dominated the world of TV, films and music for over four decades. Born in Baltimore, Maryland, David had a childhood dream to star on Broadway. The lure of the stage led him to Los Angeles where he was cast as Dr Snapper Foster on the CBS soap opera, “The Young and the Restless”. After six successful years on the soap, he was lured away by the then President of NBC Television, Brandon Tartikoff, to take the lead in a new show, “Knight Rider”. The show was a huge hit around the world and David’s character, Michael Knight, and his talking car co-star, KITT, were indelibly stamped on the hearts and minds of audiences around the world. David won a People’s Choice Award for Most Popular Actor and the show continues to play across the globe and has legions of loyal fans. 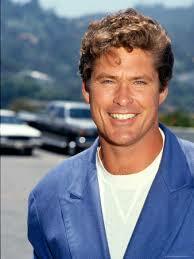 In 1989 he headed the cast of another new NBC show, “Baywatch”. Despite its initial success, the network cancelled the show after its first season. However, believing the show still had potential, David and the producers acquired the rights and TV history was made. With David as an executive producer and star, the show went from strength to strength and ran for 11 years. To this day the show is still viewed in over 140 countries and enjoys viewing figures of over a billion people per week globally. David has had a prolific acting career in addition to his two most famous roles. He has appeared in many films including, “Layover”, “Legacy”, “Final Alliance”, “Dodgeball: A True Underdog Story”, “The Sponge Bob Squarepants Movie”, “Click” and “Bedtime Stories”. His TV movies include “The Cartier Affair” with Joan Collins, “Shaka Zulu”, “Nick Fury”, “Gridlock”, “Avalanche” and “Baywatch Hawaiian Wedding”. On TV he has appeared on “3rd Rock From the Sun”, “Just Shoot Me”, “Yes, Dear”, “Still Standing” and “West Wing” among many others. David has also enjoyed a remarkable music career and garnered over 40 gold and platinum records worldwide. His career took off in the late 1980′s when he recorded the song “Looking For Freedom” at the end of the Cold War. The song became an anthem in Germany, where people identified with both the sentiment of the song and the singer who personified in his real life and in his acting roles the American ideal of freedom. The album went triple platinum in Europe and on 31st December 1989, David sang the song from atop the Berlin Wall to a crowd of over 1,000,000 people celebrating the Reunification of Germany. David remains one of the few recording artists in the world who can sell out entire stadiums. His last single, “Jump In My Car”, hit the top of the UK and European charts and the video was downloaded over 6 million times. In 2000 the childhood dream that had led David to acting finally came true when he starred on Broadway in the musical, “Jekyll and Hyde”. He went onto make his West End debut in London as Billy Flynn in the long-running musical, “Chicago”, and recently appeared in the Las Vegas production of the Mel Brooks hit musical, “The Producers”, where his comic turn as the flamboyant Roger DeBris proved to be an audience favourite. David is involved with a large number of projects and is currently appearing as a judge on the hit NBC show, “America’s Got Talent” with Piers Morgan and Sharon Osbourne. His autobiography, “Making Waves”, was on the Best Seller List in the UK and the US edition entitled, “Don’t Hassel The Hoff”, was recently released. David continues to dedicate much of his time to charity. He co-founded the charity Race For Life, was a key participant in Camp Baywatch, for disadvantaged youths in Los Angeles, is active in the Make-A-Wish Foundation and supports Wheels For Humanity. He is a frequent visitor to children’s hospitals during his travels around the world. He resides in Southern California with his daughters, Taylor-Ann and Hayley.